R Mardene Weston died peacefully on her ranch in the Wood River Valley on May 5, 2012, surrounded by loved ones. She was born April 24, 1926, in Heyburn, Idaho, to Walter and Ethel Nelson. She graduated from Pocatello High School and entered nursing school under the Cadet Nursing program at Columbus Hospital in Seattle, Wash., graduating in 1947. She worked as a registered nurse at Bannock Memorial Hospital in Pocatello and as an operating room nurse at the Veterans Hospital in Boise, retiring after 30 years' service to Idaho veterans. 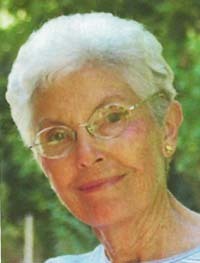 She loved skiing, horseback riding, reading, dancing with Allen and spoiling her cats, dogs, horses and grandkids. She volunteered in many capacities; one of her favorites was wrapping books for the Hailey City Library. Her friends were her jewels. Mardene is survived by two daughters and one son, Jeannine Gregoire of Seattle, Wash. and Bellevue, Idaho, Janette Knight (Roger) of Salt Lake City, Utah, and Curt Weston of Anchorage, Alaska. She is also survived by three stepsons, Ron Weston (Laura), Chris Weston (Shelley) and Robert Weston (Janet), eight grandchildren and her sister Jeanne Scott (Bernard). She was preceded in death by her parents, her brother Bruce and husband, Allen. Memorials may be sent to Blaine County Senior Center, P.O. Box 28, Hailey, Idaho 83333, Hospice or the Idaho Youth Ranch. A memorial celebration is planned for mid-September.